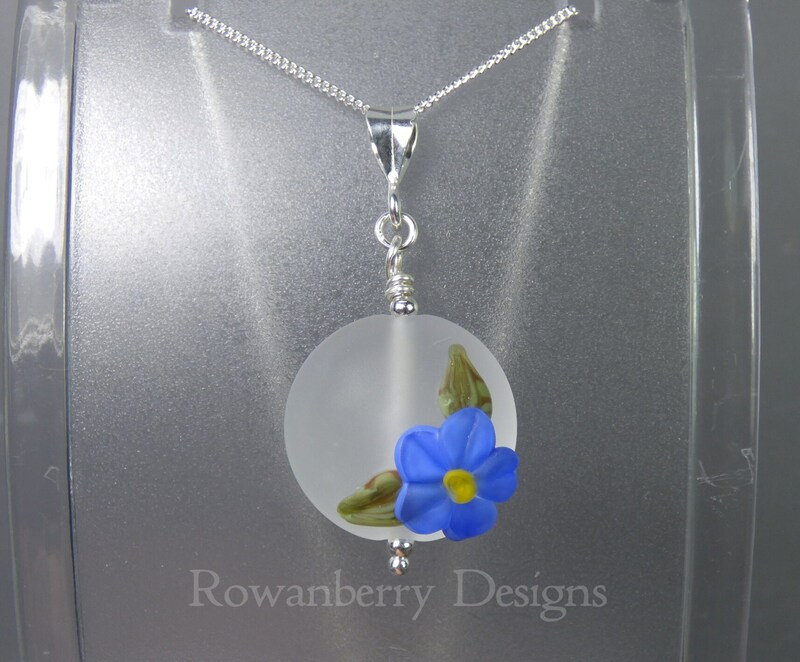 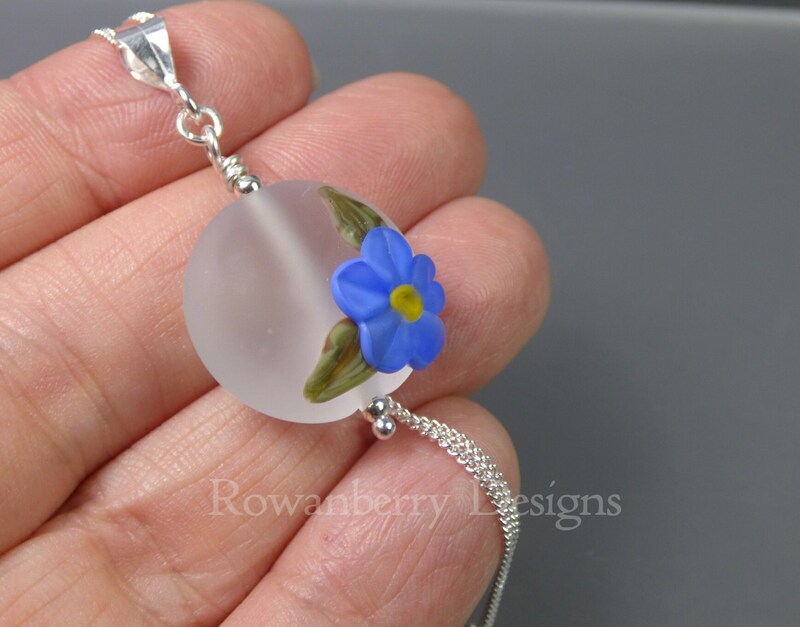 This is a pendant that I made with my own handmade lampwork glass bead with a Forget Me Not motif. 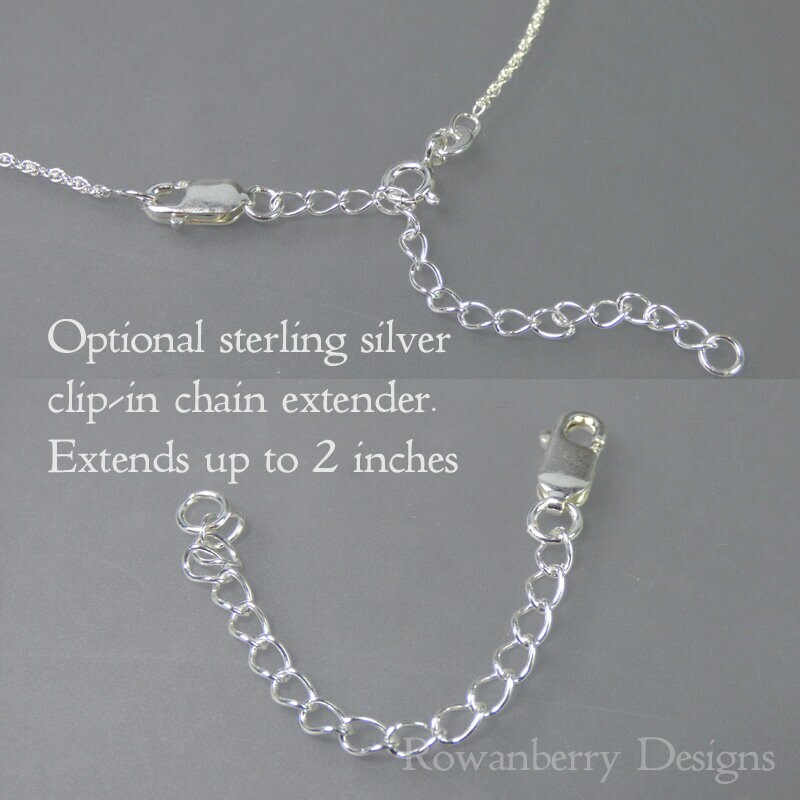 It is teamed up with 925 sterling silver chain and findings. 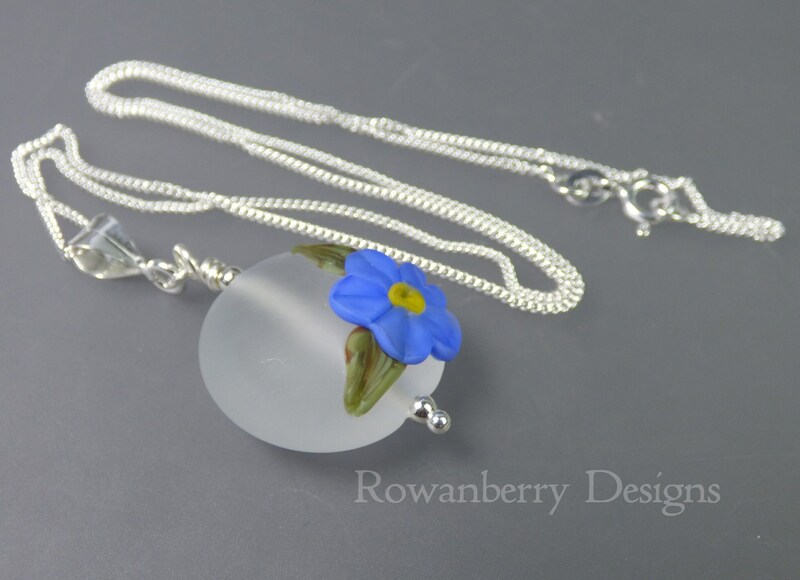 The bead has been etched for a frosted feel. 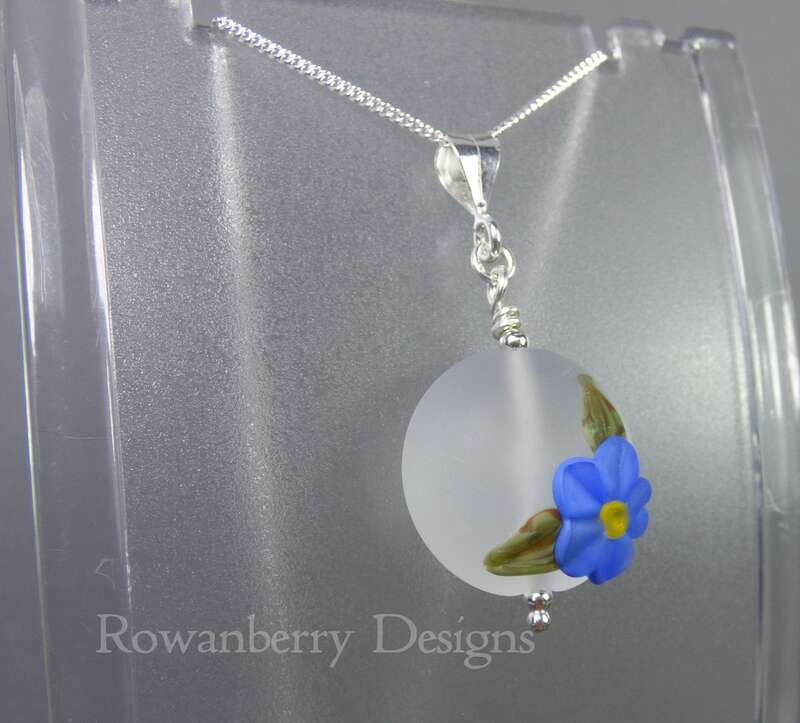 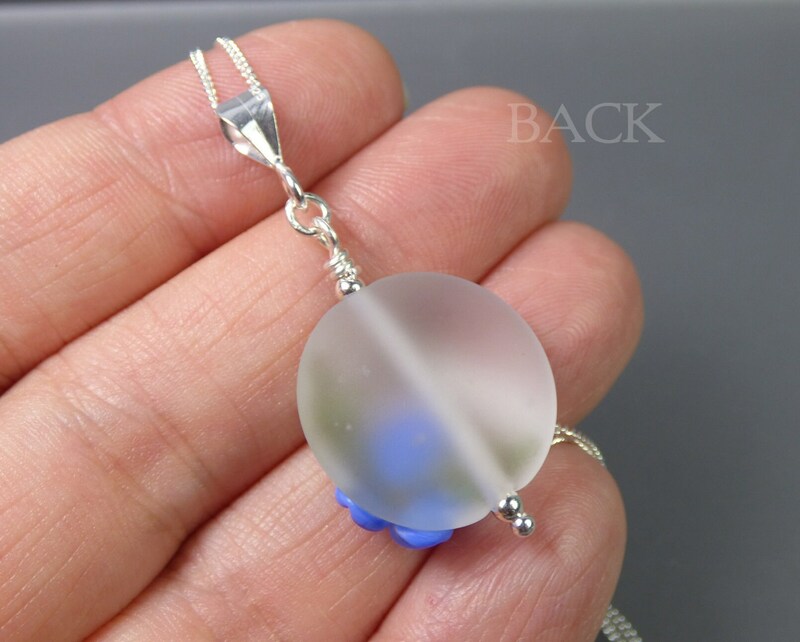 The pendant measures approx 41mm from the top of the bail, the bead is 21mm across and it is hung on a 925 sterling silver curb chain.